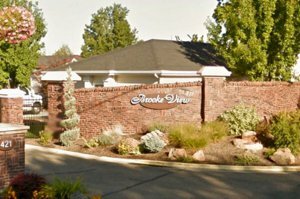 Boise 55+ communities are a popular choice of active seniors. Boise ranks as one of the top places to retire. 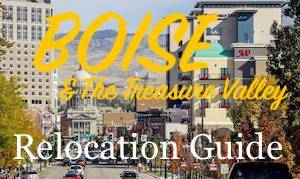 Find out why retire in Boise Idaho. 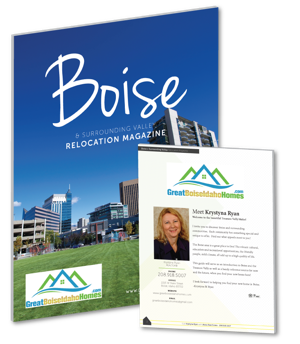 Mild climate, affordable homes, great outdoors, amenities, best medical care make Boise the favorable place for active seniors. 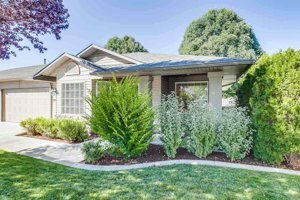 It’s easy to find a Boise 55+ community that matches your needs. 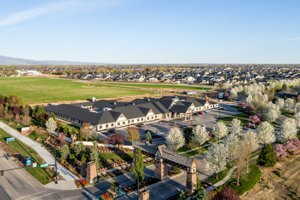 In you’re thinking about buying a 55+ senior home at one of our Boise 55+ communities, you’re in the right place. 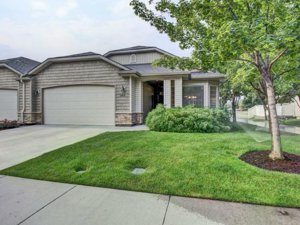 As the local Boise real estate market specialist in Boise ID, I’ve created this website to help you access specific 55+ homes and Boise 55+communities information. 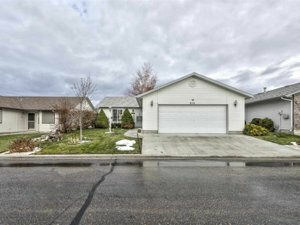 Please Contact Us or call Krystyna Ryan at (208) 918-5007 if you have any questions or would like a FREE list of homes currently listed for sale at any of our Boise 55+ communities, including 55+ homes for sale in Meridian and 55+ homes for sale in Eagle. You may also fill out the short Contact Us form. I’ll get back to you today! Built 1968-Present, this community of 130 single family homes offers the community center with many social activities, fitness room, catering kitchen, library. 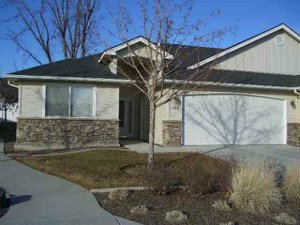 This beautiful Boise 55+ community has walking and biking trails as well as many local golf courses. 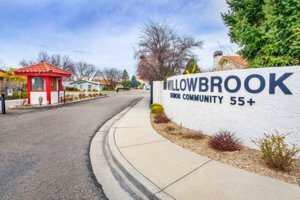 Willowbrook 55+ community was developed between 1987 -1994 and consists of 231 single family homes. Homes range from approx. 1,062 to 1,791 sq ft of living space. They have 2 or 3 bedrooms and come with an attached two-car garage. Community amenities include a swimming pool and spa, two tennis courts, putting green, walking and biking trails, pond and streams are part of the natural environment at Willobrook. There is also an RV parking lot that’s free of charge for residents. 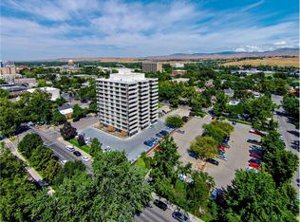 Imperial Plaza condominiums located just blocks away to Boise city center, downtowns shops, theaters, restaurants, BSU and greenbelt. Imperial Plaza condo residents are close and easy access to the freeway and Boise airport. 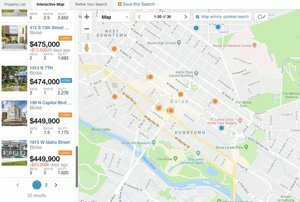 Bike or walk to the foothills. Built in 1964, this community consists of 68 residential condos covering the building’s twelve floors. The condos range in size from 728 Sq. Ft. to 1726 Sq. Ft. and include one bedroom, one bath units to three bed, two bath units. 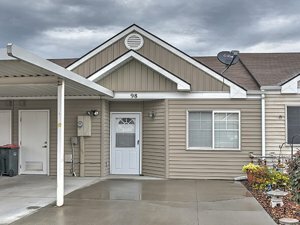 Built in 2003 this beautiful, small single level condo community of only 14 units is located adjacent to the popular Phillippi Park; Close to freeway, airport, shopping, this 55+ community if perfect for active adults. 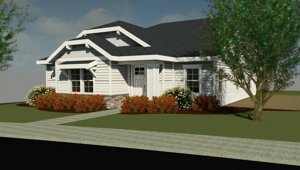 New, still under construction, gated 55+ community of single family homes located in the safe and secured Eagle neighborhood. Walk, bike or take a quick drive to local restaurants, shopping or grab a cup of coffee at a nearby coffee shop. 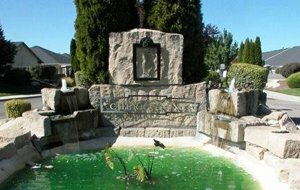 Heritage Gardens residents have easy access to restaurants, shopping, medical, Boise River and Eagle Island Park. Gated 55+ community of 116 homes in Meridian. Homes range from 1,486sq ft to 1,860 sq ft. Amenities include the multi-purpose community center, picnic area, walking and biking trails. 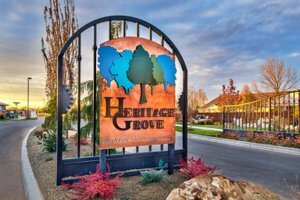 Heritage Grove is close to golf courses, shopping and downtown Boise is less than 20 minutes away. Community of 76 single family homes offer a clubhouse with many social activities. 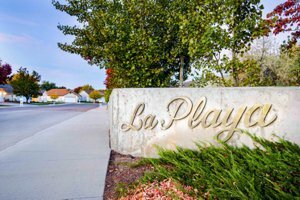 La Playa Manor is close to shopping centers, biking, golfing and downtown Boise is less than 20 minute drive away. 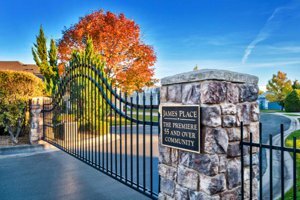 Built between 1997-2005, this active adult community consists of 73 homes, ranging in size from about 1,600 to 1,900 sq ft. James Place Manor homes typically have two or three bedrooms, two or two-and-a-half bathrooms, and an attached two-car garage. Amenities include the clubhouse with fitness room and the kitchen, available for large parties, outdoor pool, biking trails. You’d be close to shopping, golf, restaurants and Boise downtown, hospitals, airport are about 20 min away. Built between 1997-2005, The community of Ashford Greens offer a variety of homes, two to four bedrooms, two-car or three-car garages, and 1,500 to 3,000 square feet. The homeowners’ association takes care of the yard and common area maintenance. This is a well established golf community, with St. James Place nearby. Amenities include a community pool, a clubhouse, walking paths. This quiet community is close to Downtown Meridian with medical facilities, shopping, restaurants, and entertainment. The Ten Mile Greens community, built between 1998-2005, has about 25 homes that are in the 1,300 and 2,200 sq ft range. Local amenities include community pool and golf course. 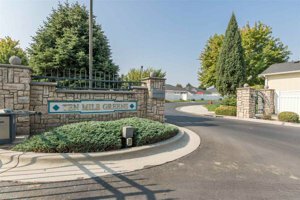 Ten Mile Greens 55+ homes are adjacent to surrounded by another all age subdivision, creating a serene environment. Popular Lakeview Golf Course is nearby. 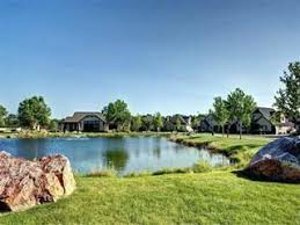 The Lake at Cherry Lane is a gated 55+ community inside Lakeview Golf Course in Meridian . 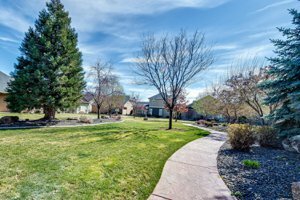 The homeowners association covers all yard, watering, shrub trimming and cleanup and outside surface maintenance. Homes (approx. 381 homes) are only 10-20 years old and offer open floor plans, vaulted ceilings, attached garages and more.. Affordable, gated 55+ community, built in 2006. Amenities covered by HOA and land lease include club house, indoor pool, hot tub, fitness and game rooms, covered picnic area, RV parking, garden area, putting green, library. New 55+ active adult community by Brighton Homes, located in Paramount Meridian (Northwest Meridian at Chinden Blvd & Meridian Rd.. This gated community of 196 single family homes is designed for active and maintenance free lifestyle with onsite fitness center, trails, recreation center, yoga studio, pool and spa. New gated 55+ community, still under construction. Greenbriar Estates amenities include a one acre community park, walking paths, putting greens, horseshoe pits. Heron Brook in Meridian consists of 34 townhouses built in 2002. The attached townhouses in this 55+ community are approx. 935 square feet with two bedrooms, two bathrooms, private patios and covered driveway parking. The community clubhouse sponsors monthly community potlucks to encourage an active social life with neighbors. The exterior maintenance, landscaping, and snow removal for all homes and common areas is covered by HOA. 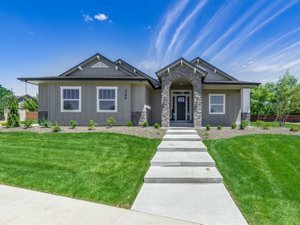 The number of Boise 55+ communities, including new communities in Eagle and Meridian, has been growing, as new constructed homes come on the market. Our Boise 55+ communities page is getting updated accordingly. Contact Us for more information and Free tour of available homes. 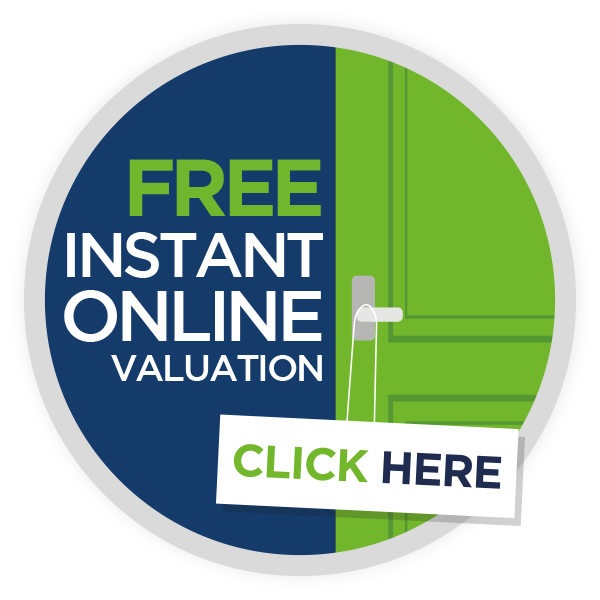 Call (208)918-5007 today!